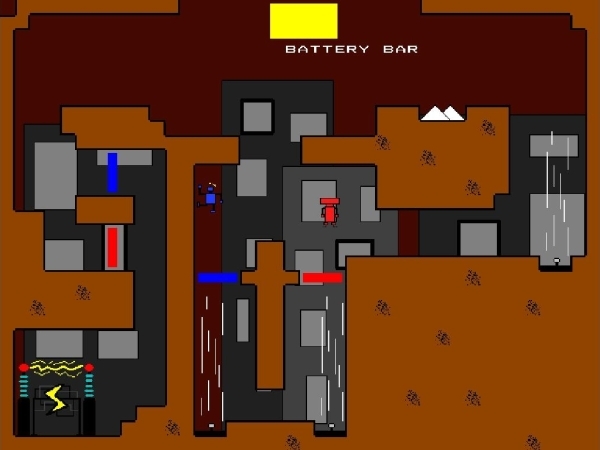 Take control of one of two robots, with a friend playing the other one, and lead them to safety at the Charging Facility. Beware though, the robots are connected with each other through a cable. Stretch it to far and it will snap, depleting the joint battery. If it uncharges completely, both robots will be rendered inoperable. 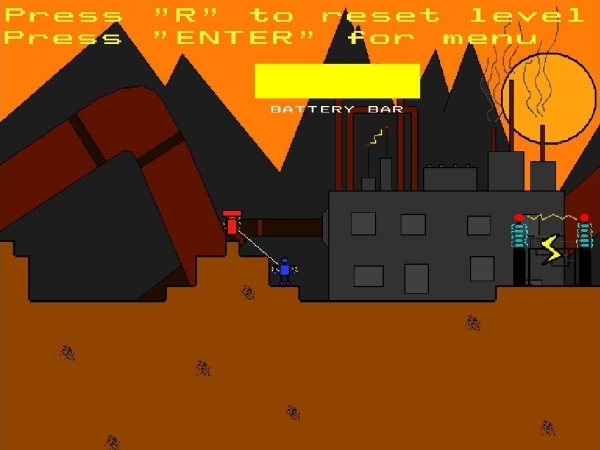 Two Robots And a Battery is a platformer where two players co-operate to win. 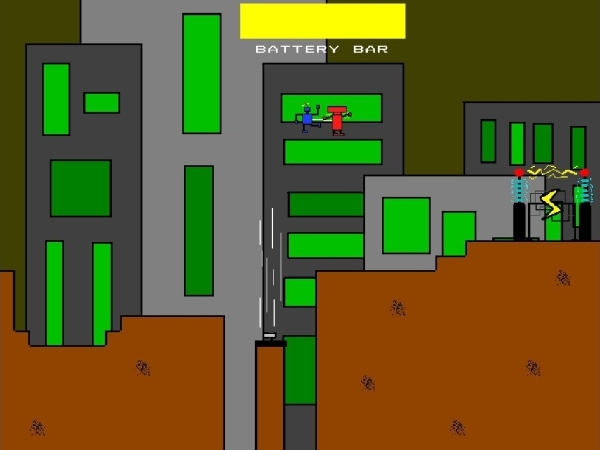 The game was made by me and Niklas Svanberg during our first game design-course at Blekinge Institute of Technology in October 2009. Development time was a little more than a week. 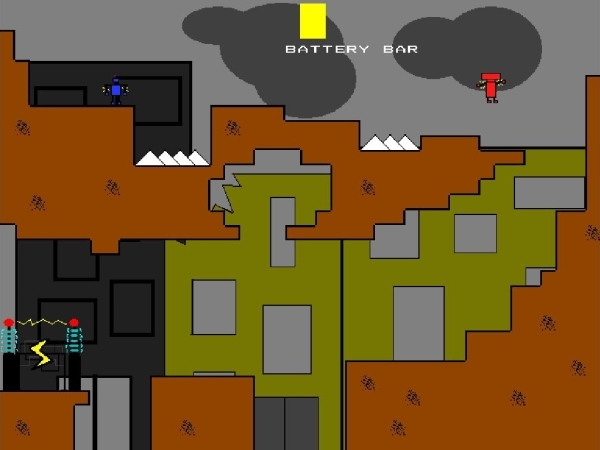 We wanted to create a platformer with new game play and came up with the idea that the two players had to stay close to each other to stay alive, but at the save time risk being apart to win the levels. I’m happy with the result and think that we gave the platforming-genre’s general game play a fresh addition.